WEFTEC is the premier wastewater treatment event in North America. In all, over 22,000 registrants and exhibitors come to WEFTEC to gain practical knowledge, share ideas, and conduct business. The biennial IDA World Congress is the world’s most anticipated and prestigious desalination and water reuse event. In 2019, the World Congress is coming to Dubai, United Arab Emirates (UAE) from 20-24 Octobe. Dubai Electricity & Water Authority (DEWA) is set to host the Congress at the Dubai World Trade Center. 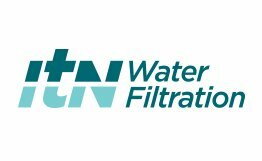 The leaders of the water industry will converge and connect to develop business opportunities, exchange and share knowledge about cutting edge technologies in the desalination market. Attendees are from public and private sectors, researchers, and academics in the fields of desalination, water reuse, energy, environment and project finance. The Congress will consist of panel discussions, technical program, exhibition, networking events, and specialized workshops. Aquatech Amsterdam is the world’s leading water trade show for process, drinking and waste water. Connect with water professionals from over all over the world, in the exciting city of Amsterdam. The exhibition is a unique concept in Europe with a 100% focus on water, with a visitor attendance of 21,000 from 139 countries and over 850 exhibitors every two years. 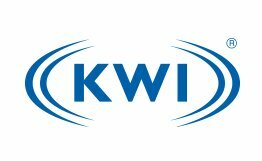 Visit the KWI International booth during exhibition hours. The International Water Conference® (IWC) is a strong educational conference. It was founded with an emphasis on commercial free discussions on technology. The IWC presents the latest in scientific advances and practical applications in the industrial water and wastewater field. As the preeminent international technical forum in the field, the IWC brings together end users, researchers, practicing engineers, managers, educators, suppliers and contractors. It is dedicated to advancing new developments in the treatment, use and reuse of water for industrial and other engineering purposes. Attendees come to learn unbiased details about the latest applications available in the industry. IFAT is the World’s Leading Trade Fair for Water, Sewage, Waste and Raw Materials Management. It is a place where visitors can find strategies and solutions for using resources in intelligent cycles. KWI International and ItN Nannovation will be exhibiting together at this event.